Accredited food safety training course is the easiest and most cost effective way to get up to date with all the latest food safety requirements. This course covers all UK and EU current requirements and is constantly updated to meet new legislations. The course has been developed to support those working in the catering industry. 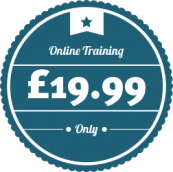 Online food safety course, available to buy and train today. Why choose online food safety course? Our courses are written by qualified, registered food safety professionals with over 30 years of experience in the catering industry.